One of the best things about succulents is the ease with which they can be propogated. 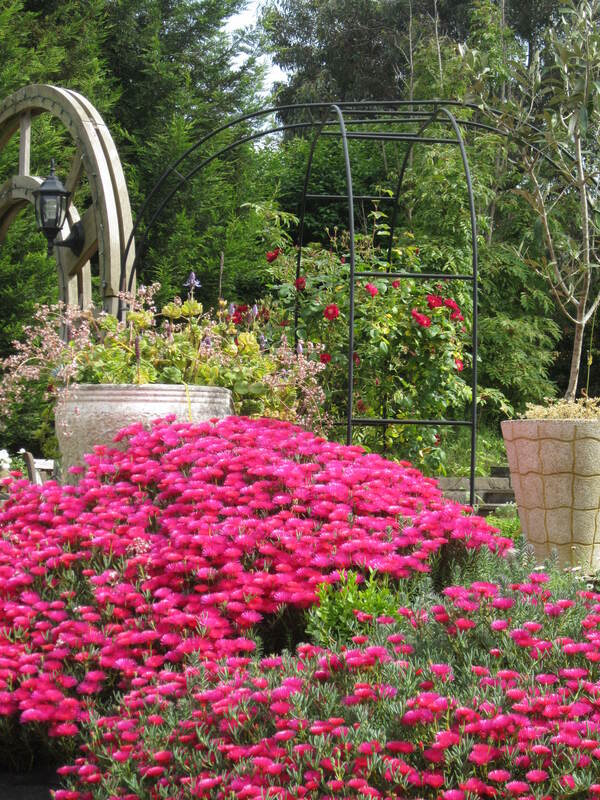 Originally purchased in a small container from a nursery, this succulent, Mesembryanthemum, was planted in the backyard, providing a wonderful mass of colour in 2011. 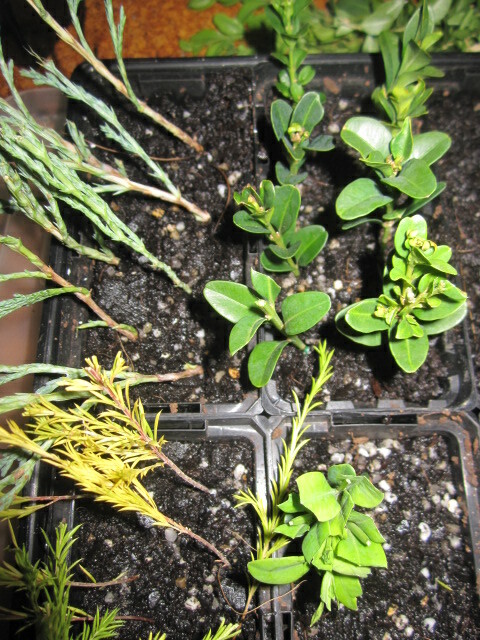 I have since taken various cuttings and planted them in small pots until they were ready to plant out. 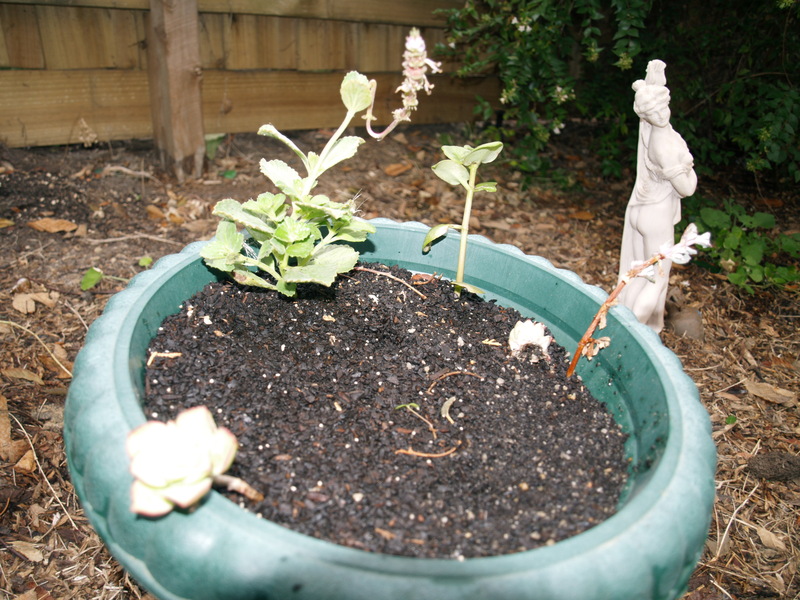 Most succulents, however, can just be stuck in the ground and they usually take. 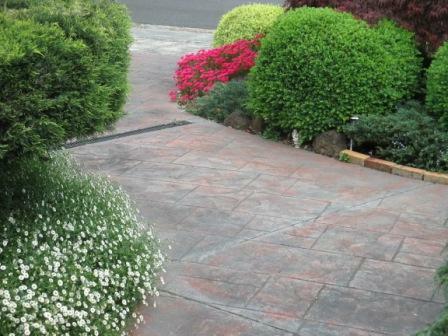 The photos below show the current postion of this batch in the front garden. A good investment, I think. 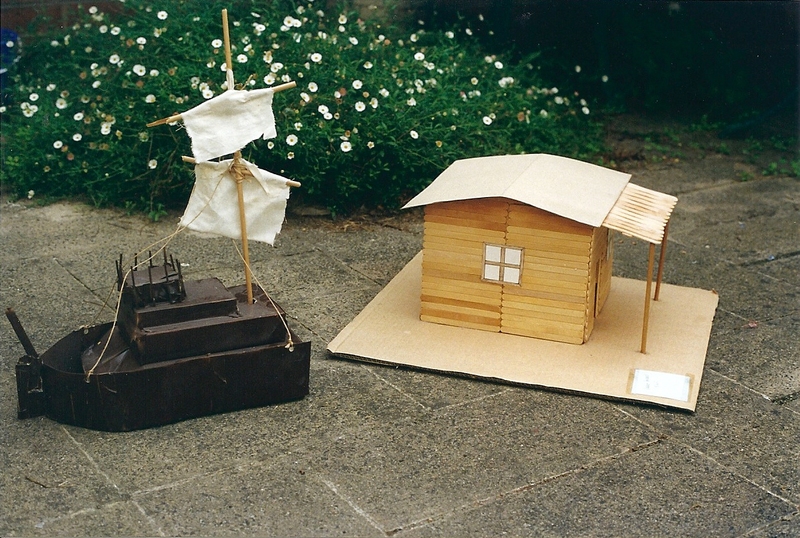 I remember years ago sending old cardboard boxes off to the Primary School for the artroom, where the kids would make all sorts of wonderful creations, and quite often you would end up with the same boxes that you had sent to school, just in a different form! Then of course you felt obliged to have them on display for a reasonable length of time. When doing a cleanout, I used to take photos of this artwork for posterity, which takes a lot less space than the actual item. There came a time when you were no longer allowed to send old toilet rolls due to health regulations, which if you think about it is a little far-fetched. Toilet germs don’t jump out from the bowl and attach themselves to the inner roll I am pretty sure. 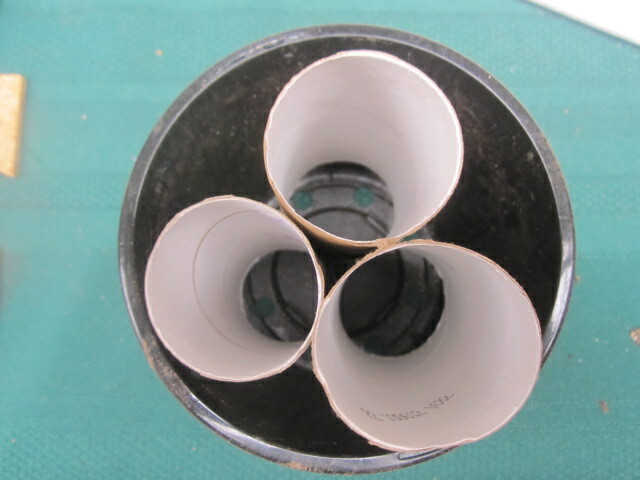 I had been putting said toilet rolls in the paper recycling when suddenly I got the idea to use them as little biodegradable potting tubes. 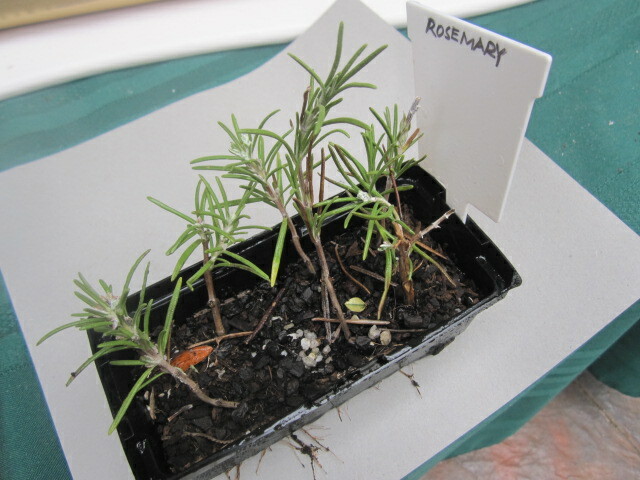 The rosemary cuttings I took in March have taken good root. 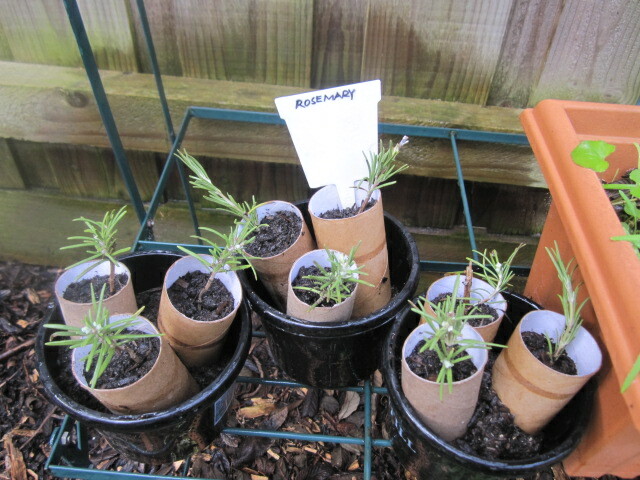 I have now transplanted them into these rolls, as I plan to make a little rosemary hedge under the rear bay window, just outside my sewing room. When I do that, I will then be able to remove the mother plant and replace it with something else. Once again I am the recipient of someone’s spare plants. 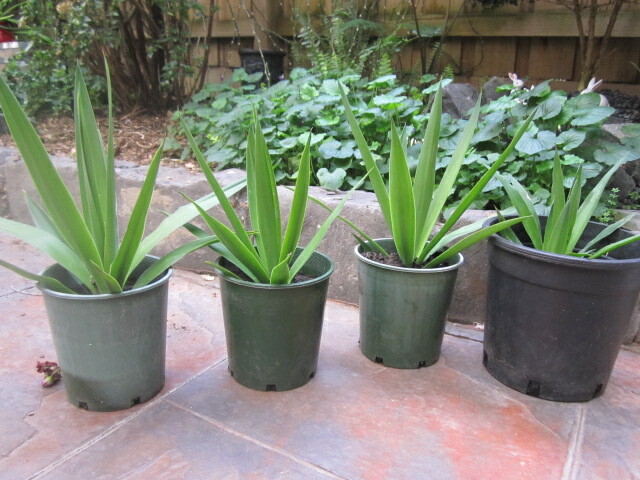 A friend had many yucca plants, and created some new ones that I am looking forward to putting in my garden. Here is a sneak look at them before they find a new home. They have nice firm leaves with an elegant line…. Shock, horror! I decided to google yucca plant pictures, and it led me to ASPCA (Animal Poison Control Center) and I found out that these plants are toxic to cats and dogs, causing vomiting and diarrhoea. Now, knowing this, do I plant them or not? So maybe they are yukky after all. That 2009 drought inspired me to re-think my garden. With severe water restrictions and excessive heat, it was time to move towards succulents.On my morning walks there were many pretty little succulents growing, from which I took cuttings. Two months later it was obvious that some grow prolifically and others are slower growers, making it simpler to decide where to put them. The fastest growing one would be better off in a pot, unless you want it to run riot. With succulents there is no need for hormone or rooting powder. 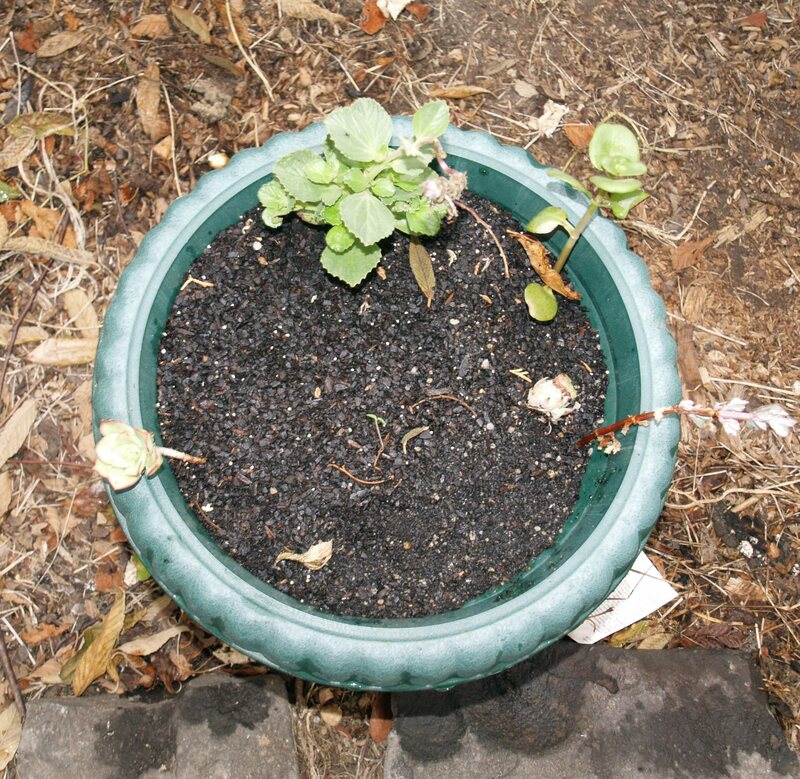 Just cut them off, pop them in potting mix/composted soil, water them in, and then wait. Yesterday, after spending hours pruning, I decided this would be a good time to take some cuttings, utilising the trimmings. 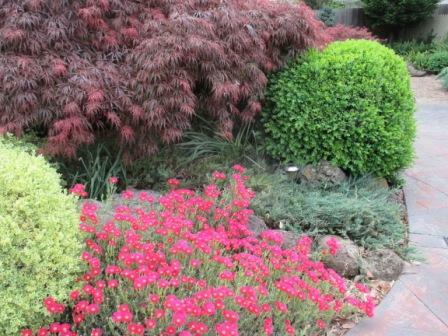 From the central garden bed at the front, I have pieces from the English box plants, including a variegated light green one, creeping juniper and golden diosma. There are always spaces to fill, particularly in the back yard. 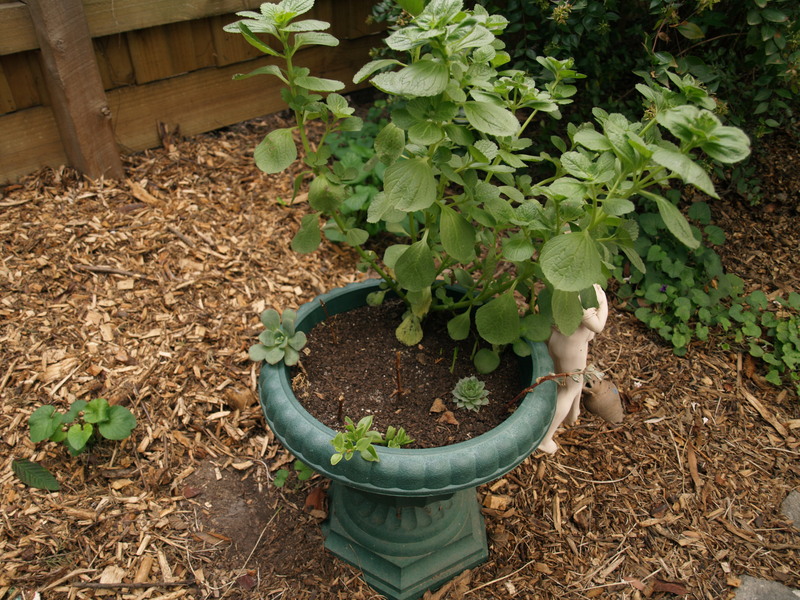 More nice plants generally mean less places that weeds can rear their ugly little heads. I have ignored the rules about sterilising pots. My theory is that if the plant can grow with a few germs, it will have better immunity. Propagating mix and a rooting powder are my friends. Having had some success in the past, I look forward to seeing the results. Last week I was at a friend’s place after an enjoyable ride on my scooter. 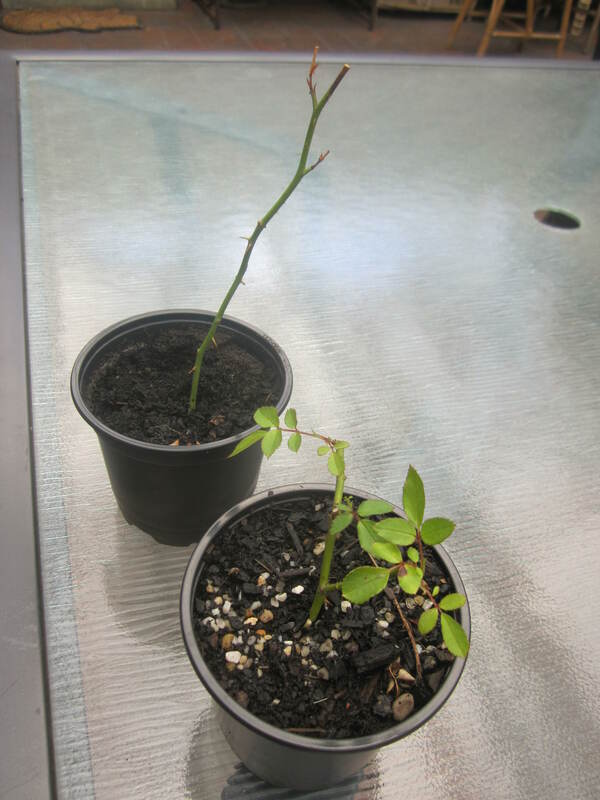 Her son Kevin has been taking cuttings of roses rather successfully. I was the honoured recipient of two of these. Fortunately I have plenty of storage under the seat on my scooter so was able to transport them home safely. I intend to plant them out into the garden when they are further established. It’s inspired me to return to taking cuttings. There are a few plants I would like to strike. 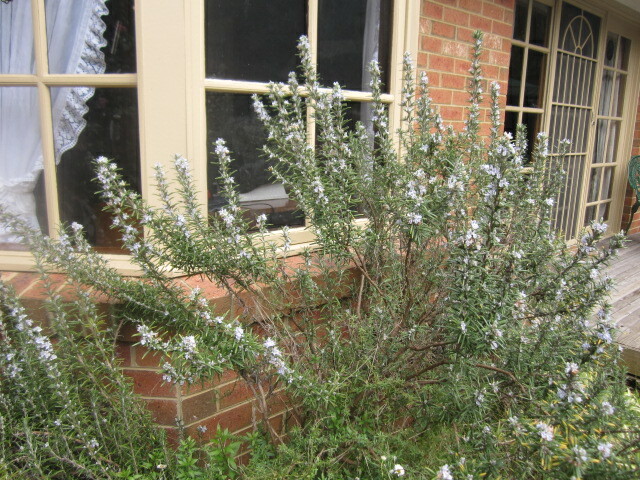 My large rosemary bush is getting a little straggly and large, so I pruned it recently. That would have been the perfect time to take some snips, but I lacked the motivation that day. Once I grew a Castewallen Gold conifer from a cutting and was very pleased with myself. Little did I know they grow really huge, but if you start early enough you can keep them contained with regular pruning.